We've tried our fair share of lotions and creams that have given us high hopes and promises only to be left dull and discouraged—especially regarding the state of our skin. Annoying. Finding an exceptional remedy for pesky dry skin shouldn't be difficult. After all, enter any drugstore or beauty retailer and you'll eagerly be met with—quite seriously—hundreds of tempting options. But which ones actually work? Alas, after lots of trial and error, and lots of sacrificial dry skin, there is a select number of the best moisturizers we recommend and offer up to help pacify flakes and roughness. From shimmering lotions to fatty acid–packed oils, we're outlining our 18 top product picks to achieve glowing, hydrated, perfectly smooth skin. Keep scrolling. 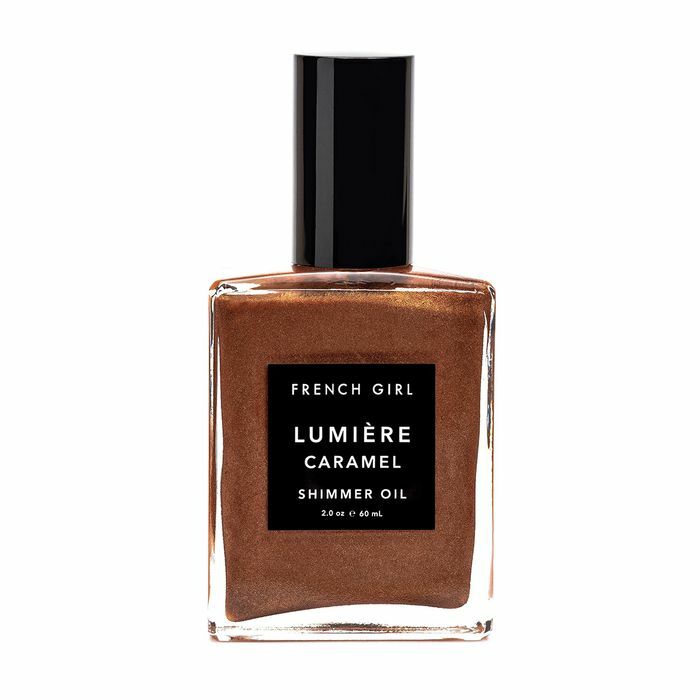 Infused with shimmer and organic hydration-packed ingredients (think argan oil, shea butter, and camellia and sunflower oils), this sandalwood and rosa gallica-scented potion from French Girl is like an IV drip of St. Tropez for your skin. This dreamy lotion from Pacifica is studded with crystal extracts, watermelon, and lemongrass to deliver on all fronts when it comes to your summertime skincare cravings. It doesn't get prettier than the flattering summertime finish this luxe body serum leaves behind. Sparkling rose gold is speckled throughout a moisturizing blend of supercritical chia seed oil (the brand's hero ingredient! ), gotu kola, arnica oil, and camellia seed oil. Featuring gorgeous Moroccan Rose, this lightweight and all-natural illuminating serum imparts a believable radiance alongside unparalleled hydration. This skin-saving hand, body, and face lotion is the luscious passion project of world famous hand and parts model Adele Uddo. Rich in nutrition, it's spiked with antioxidants and other hydrating power players like hyaluronic acid, MSM, coffee berry, and raspberry leaf to immediately quench the skin for an enduring, velvety-soft finish. Described as "yummy vanilla banana custard," this delicious body lotion from Lush is one of our all-time favorites. Yes, it smells amazing (like dessert but in a chic way), but it also gives our skin flawless hydration, making it one of the best moisturizers for dry skin money can buy. If you're not a fan of frills and fragrance but still want an A+ formula with only the best and most nourishing of ingredients, look no further. Osea's signature lotion is enriched with flake- and scale-banishing ingredients like rosehip, kukui, and avocado oils, alongside shea butter and organic seaweed. This gel-lotion hybrid is a game-changer for angry, irritated summer skin. Impeccably soothing, it's fortified with top-quality ingredients from Down Under to smooth away inevitable summer skin woes. Plus, it absorbs lightning fast. This glow-inducing, multitasking formula from Noto Botanics is one of our forever favorite dry skin remedies. You can use it on your body, face, or hands, and unlike so many formulas whose softness washes away after the first rinse, the moisture this formula grants lasts and lasts and lasts. We dare you to find a better-smelling body cream than this under-the-radar gem from Pistaché. Pistachio oil and blue-green algae come together to create a moisturizing, melt-into-your skin experience. A riff off the brand's cult-favorite cream, this formula is a tad richer, but with all the same Swiss skin perks the brand is known and loved for. Trust us, your skin will want to drink this up all summer long! Celebrity hair colorist Lorri Goddard first introduced me to this romantically rose-scented body cream, and my (previously) perpetually parched skin has been thankful ever since. It's indulgent, beautifully scented, and one of the best moisturizers for dry skin currently in my product repertoire. Organic and expertly formulated to be the most luxurious of ways to elevate your current shower routine, this balm to oil elixir effortlessly melts into skin for lasting nourishment. Plus, it smells amazing. Technically, this blue-tansy-dusted balm is meant for the face, but we love using it as a multi-purpose antidote wherever we're feeling cracked and scaly. It's saved our cuticles, elbows, and knuckles on more occasions than we can count, and the packaging is impeccably chic to boot. This slightly tinted body oil absorbs insanely fast and is a go-to summer favorite of my fellow beauty editor Amanda Montell (who always looks glowy and radiant). According to her very discerning testimony, it leaves skin insanely hydrated and smooth—as if you've just executed a super-close shave—for a full 24 hours. If you're looking to drench your skin in moisture, this lovely body oil from Tata Harper 100% has your back this season. It's chock-full of green juice–like nutrition (think essential vitamins, minerals, and other firming perks) and never leaves skin feeling overly greasy or slick. Plus, the vibrant citrus scent is a home run for summer. Fun fact: Amanda and I are actually roommates and we fight over this luxe body oil. It features high-performance botanical ingredients inspired by Indian ritual and glosses the skin with precious MVP hydrators like sunflower, jasmine, and alma oils. Unsurprisingly, it smells amazing as well. One-part healing serum, one-part moisture-sealing oil, this firming body oil's impressive roster of summer-skin savers has us addicted. Organic additions like rosehip oil, vitamins C and E, and caffeine keep our skin hydrated, yes, but also taught, tight and silky smooth. Next up, this one ingredient is the fashion industry's best-kept hair secret.